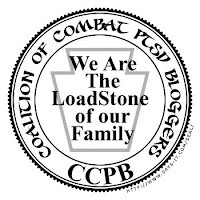 Thursday is Valentine's Day and for all of you parents who are wondering how to deal with the PTSD and/or the TBI your veteran adult child came home with, let me give you a heart-warming gift in this short blog post right now: You have found a family/home that understands. Family of a Vet welcomes all family members. I've been with the group a little over a year now and I can tell you: they accept me, they welcome me, they are here for me. Many are wives and I have to tell you, not only have they helped me express myself, they have allowed me to help them if one of them needs to talk or vent. We all respect the fact that we can see things from different angles and we can be here to listen, to help with finding resources, to just be around someone who understands how different life is these days with the realization that they didn't come home alone: they came home with PTSD and a TBI. As you celebrate this Valentine's Day, take a look at our Love Letters campaign. We can all identify on different levels with how this day is different now. As for me? I am continuing to try to help and educate others as well as be supported myself by these wonderful members, because I am the mom of a wounded veteran who told me at the age of four that he loved me "tough noodles" and that's the most you can love anyone. Tough noodles? Let's just say I didn't always get the macaroni cooked through and my mom would get onto me about those tough noodles. My son immediately defended me and said that creative phrase which lives on in our family still today. Happy Valentine's Day and know that you are loved and supported here, tough noodles and all.